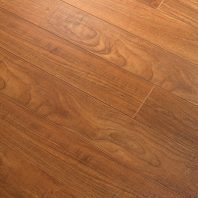 How to Protect Flooring | Wolfe Flooring Inc. Your floors need special protection when moving heavy furniture or equipment, during renovations or painting projects, and for other events beyond day-to-day use. A single hammer dropped to the floor, a parade of laborers in and out of your building, or a coat of airborne dust may cost you thousands in repair or replacement expenses simply because you did not properly protect your flooring. So, if you are moving in or out of your existing home/facility or if you are allowing vendors to setup for a conference, the following guide will help you keep your flooring in a like-new condition. This article will provide a broad overview of protective materials that are available, how they are rated, and the unique benefits or deficiencies of each type. Chipping, Cracking, or Shattering. Hard Surfaces of Stone and Ceramic. Scratches. All Hard Surface and Resilient Surface Flooring (which includes Ceramic, Stone, Hardwood, Laminate, Vinyl, and Rubber). Dents and Dings. Hardwood and Laminate and (to a Lesser Degree) Vinyl and Rubber. Scuffs. Hard Surface and Resilient Surface Flooring Products, and (to a Lesser Degree) Carpet. Cuts and Tears. Carpet, Rugs, All Resilient Flooring, Laminate, and Hardwood. Snags. Carpet, Rugs, and Woven Vinyl. Floor protection products are classified into three categories: (1) products by the roll, (2) products by the sheet, and (3) traffic control devices. Protective materials purchased by the roll are commonly measured in thickness by mils (e.g., 2 mils thick or 40 mils thick). Goods sold by the roll range from less than 2 feet in width or to more than 1,000 feet in length. Protective materials purchased by the sheet are commonly measured in thickness by the inch (e.g., 1/4-inch thick) and normally come as 4 feet by 8 feet. Paper protection is suitable for all hard surfaces and resilient surfaces. Carpet or rugs (i.e., soft surfaces) should not be protected by construction paper alone, as paper products will be prone to tear when flexing under footsteps. One of the great benefits of paper byproducts is that paper (without extra coatings) is breathable. Vapor is not trapped underneath. Another benefit is that paper is absorbent. The weakness of paper protection is that it offers no moisture resistance. Also, unless corrugated, paper offers no impact protection nor pressure resistance. Paper products can be reused, but are so inexpensive that most paper products are widely accounted as disposable. Rosin paper is one of the oldest protective protects with a track record exceeding 100 years. Rosin paper is a heavy, recycled, felt paper that ranges from 9.0 to 11.5 mils thick. The great strength of rosin paper is that it is very inexpensive. One of the greatest weaknesses of rosin paper is that rosin paper may cause a permanent stain if the paper gets wet. Only use rosin in a dry environment or place plastic underneath. Paper products advance to the next level with single-face corrugated rolls with 1/8- to 1/4-inch fluting. Cardboard products are also available as single-, double-, and triple-walled corrugated cardboard sheets or as a fan-folded stack. Corrugated sheets offer limited impact protection and are more likely to be reusable. Kraft paper may incorporate coatings or reinforcements, enhancements which are additionally described below under Special 2-in-1 Protection or 3-in-1 Protection. Polyethylene (PE) films are like the industrial version of plastic wrap. Polyethylene films are suitable for all surfaces which are no longer curing or are not releasing moisture. Two of the great benefits of polyethylene films are that films will flex and contour. Likewise, films are less likely to tearing (in contrast to an ordinary construction paper). Furthermore, films are nonporous which means that a film will stop moisture or spills from seeping down to the flooring underneath which you are attempting to protect. The weakness of polyethylene is that it offers no impact protection nor pressure resistance. Also, the nonporous quality means that films are not breathable and will trap moisture vapor underneath. A simple polyethylene film is very inexpensive and is designed for one use. Self-adhering films are commonly low-tack and reverse-wound for easy application to soft, hard, or resilient surfaces. PE films may be clear or have color added. As with safety barricades, floor protection with color added may be preferred to help focus people's attention to stay on the protection and to avoid tripping. Visual identification of any protection material becomes more difficult as construction dust accumulates. If painting a small space, consider an inexpensive disposable plastic drop sheeting ($15) from a local hardware store. The more durable plastic sheets are reinforced with fiber mesh. Some are so thick that they would be considered reusable. Learn more about enhanced PE films below under Special 2-in-1 Protection or 3-in-1 Protection. Plywood needs no explanation. Masonite is an inexpensive sheet product made of recycled, pressurized wood fibers. Plywood or Masonite are suitable for all flooring products. The unique benefit of plywood and Masonite is that they offer meaningful impact protection and pressure resistance. Plywood or Masonite are perfect to disperse the concentrated, downward pressure (i.e., reduce PSI) of heavy furniture or equipment that must be rolled or set on the floor. A heavy load can indent hardwood and resilient flooring and can crack or shatter ceramic or stone tile. (For example, a heterogeneous commercial sheet vinyl may have a static load resistance to 750 PSI while a commercial vinyl composition tile may have a static load resistance to 125 PSI.) Additional benefits include that plywood and Masonite are breathable and reusable. The weaknesses of plywood and Masonite are that neither offer moisture protection and that covering your flooring in sheet goods may consume extra time if cutting is required. Place construction paper or something else between plywood and resilient flooring. Resilient surfaces may be scratched by the irregular texture of plywood. Place a cushion under the plywood if the finished floor that you are attempting to protect has an irregular surface, like that of Mexican saltillo tile. Otherwise, the crests of your floor will make contact with the plywood and may damage the finish. Upgrade from Masonite to plywood when greater pressure disbursement or impact resistance is needed. 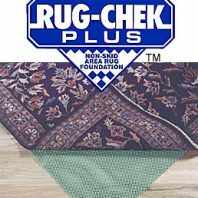 Sheet goods are the only way to prevent wrinkles from developing in carpet when rolling heavy loads over your carpet. Use duct tape over the joints to hold the boards together and to prevent sand from sifting between the sheets. Paint the plywood's edge in a safety orange if using a plywood thicker than 1/4 inch to draw visible attention and diminish the trip hazard. combines the absorbent cloth with a plastic film to prevent a liquid paint from soaking through the cloth protection. The manufacturers of protective products know that you may need the best qualities of more than one product. In response, they make 2-in-1 and 3-in-1 protection. Kraft paper may be coated with a polyethylene film to offer the absorption of paper and the moisture barrier of a PE film. Fiber mesh, fiberglass threads, or other textiles (sometimes called scrim) are added to both paper products and to polyethylene films to make them less likely to tear. A three-ply kraft paper will combine the paper with a PE film and a reinforcement thread. Rolls of 2-in-1 and 3-in-1 will be thicker than a rosin paper. Expect thickness to range form 13 to 50 mils and more. There are also specialty sheet goods designed to replace Masonite and plywood. Ongoing or Frequent Need - Specialty Products. An ongoing need to move heavy loads over your floors or the routine exposure to wet or messy foot traffic will direct you to purchase reusable protection materials. A commercial facility that must repetitiously roll heavy equipment or furnishings over their floors should establish a system. An expensive interlocking rubber or rolls of vinyl matting might be a suitable alternative to a disposable PE film. Plywood with interlocking joints are more economical for reoccurring needs. Do not cover your flooring with a product that will trap moisture or prevent curing if the setting materials, grout, adhesive, or finish is still curing. 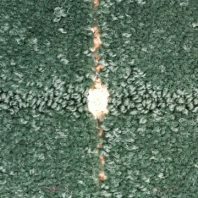 Trapping moisture can cause a full product failure. Vacuum or sweep carefully before covering with protection to ensure that abrasive sand and other particles do not grind the surface of your flooring underneath the protection. The best methods may incorporate layers. For example, a polyethylene film or paper may be placed down first. Then, cardboard, Masonite, or plywood may be placed on top. Overlap paper and poly-film products. Use a wide painters' blue masking tape to adhere paper to your flooring to prevent trip hazards or movement. Use the same tape to seal the seams. If polyethylene film is not self-adhering, use a wide painters' blue masking tape to secure the plastic's edge to the floor and to attach one piece of plastic to another. Stagger your sheets of plywood or Masonite in a brick pattern if covering large spaces. The best way to protect your beautiful flooring may be to prevent people from walking into those areas. If the adhesive or setting materials used to install your flooring is still curing, the floor should not be covered with nonporous protection and may need to be protected from foot traffic to avoid disruption. Cordoning off an area using yellow caution tape or upgrade to high-visibility orange safety barricade mesh or netting. After your floors are properly covered with protection supplies, use the correct tools to ensure your success and to make the job easy. The more wheels a dolly has, the more widely the weight is distributed. So, dollies with four wheels will more equally distribute weight than a dolly with only two wheels. Larger and wider wheels will distribute weight better than small wheels. Pneumatic tires disperse weight better than solid rubber tires, which are more forgiving than steel wheels. Case Study of Concentrated Weight: A 1,400-pound upright safe that rests upon a flat bottom that measures 40 inches by 35 inches (1,400 square inches) will have a PSI of one pound per inch. If the safe is loaded onto a two-wheel dolly with wheels that have only one square inch of contact under each tire, the concentrated weight will create 700 PSI (1,400 LB ÷ 2 Wheels = 700 LB per Wheel ÷ 1 Square Inch = 700 PSI). If each wheel has 4 square inches of contact (2" x 2"), the concentrated weight will create 175 PSI (1,400 LB ÷ 2 Wheels = 700 LB per Wheel ÷ 4 Square Inches = 175 PSI).